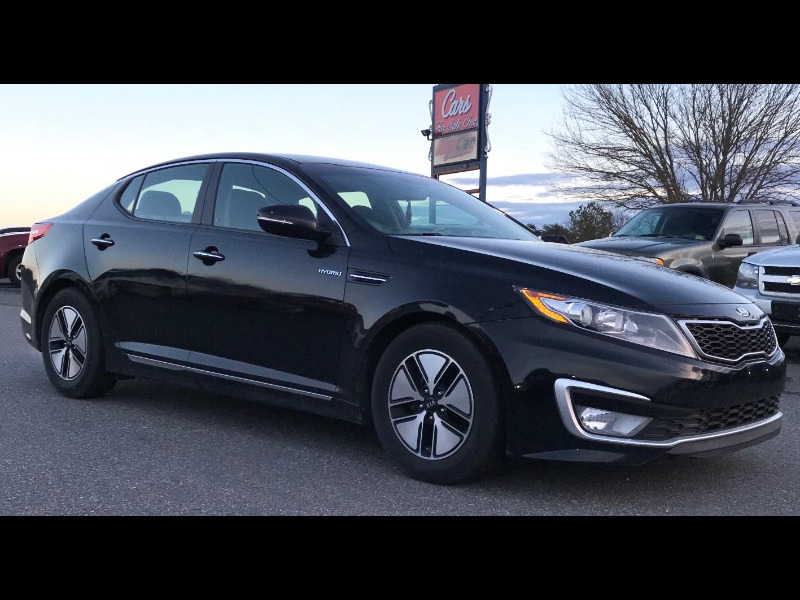 Used 2013 Kia Optima Hybrid LX for Sale in FREDERICKSBURG VA 22407 Cars For Sale, Inc.
Disclaimer: PRICES ARE BASED ON ONE TIME CASH FULL PAYMENT. PRICES ON ANY OTHER FORM OF PAYMENT IS NOT THE LISTED PRICE. Buyer pays the following additional fees when purchasing a car:Dealer License Tax of 0.125% /Sales Tax/Registration/Titling paperwork fees/Tags/Additional Service Request/Emission/$899 Dealer Processing Fee, WHICH IS -NEGOTIABLE CASE BY CASE!!!. Prices are subject to change without prior notice. 3 Month/5k Miles Powertrain Warranty included on every qualified car. 84 months/100k miles Bumper to Bumper extended warranty, 12 months unlimited miles and more available on selected cars. 2.99 APR available on approved customers... For more accurate information PLEASE visit Cars For Sale Inc. a used car dealership's website directly at WWW.CarsForSaleInc.Com / Call 540-479-2749 or text 571-354-3916 or visit us in person AT OUR NEW LOCATION 8700 Jefferson Davis Hwy Fredericksburg, VA 22407 BUT please schedule your test drive 24 hours prior to your visit IF POSSIBLE. ALL PRICES and availability ARE SUBJECT TO CHANGE ANYTIME without further notice! FLEXIBLE HOURS ARE AVAILABLE UPON REQUEST PLEASE CALL FIRST!